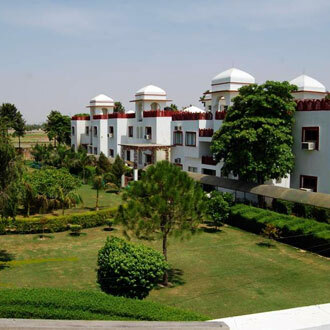 3Star in its status, this beautiful resort is located just 3kms away from the district of Dharuhera. A total of 58 guest rooms are available equipped with heating and air-conditioning facility and furnished with their own distinctive decor. There is the Spice, a multi-cuisine restaurant, the Le- cafe, a coffee shop and the Fizz, a watering hole, which is an ideal place to unwind in the evening. The swimming pool and the garden area provide the much needed repose after a tiring day of sight seeing.